Simple fun art idea that combines shapes and colour theory in one activity perfect for every aged child! 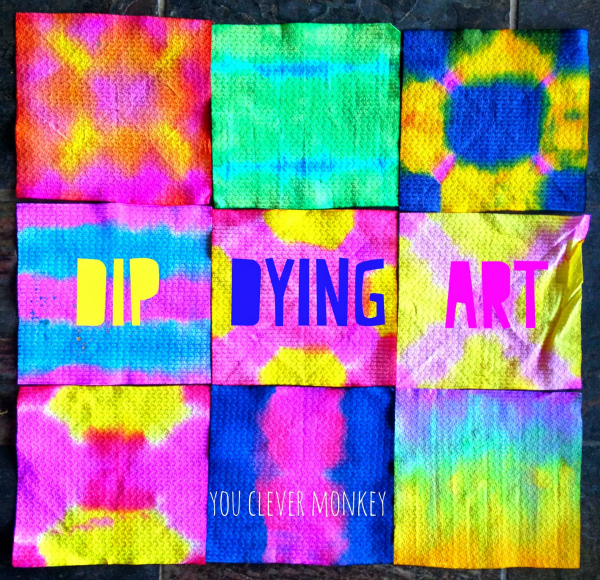 Looking for a fun easy art activity your family can do together? School holidays are upon us again and finding an activity that caters for children of mixed ages can be tricky but this simple colourful activity was one everyone will enjoy and has a certain amount of wonder built in to keep children of all ages engaged and experimenting. 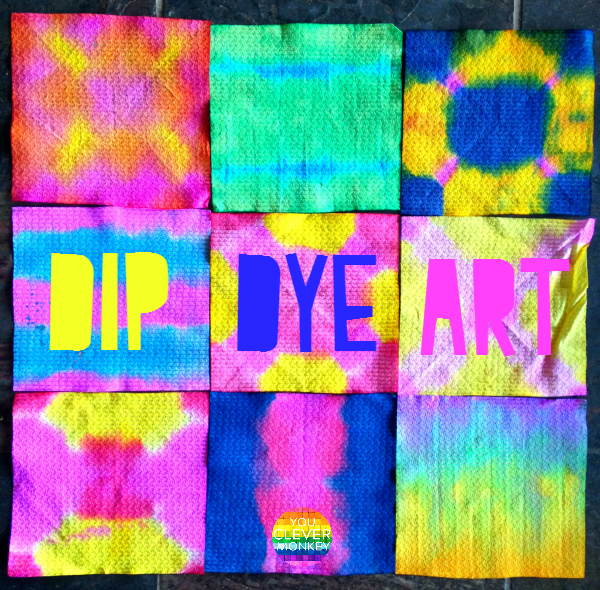 Easy to set-up with materials most people have at home and quick to clean up, dip dye painting combines maths and art perfectly in one colour filled art activity. 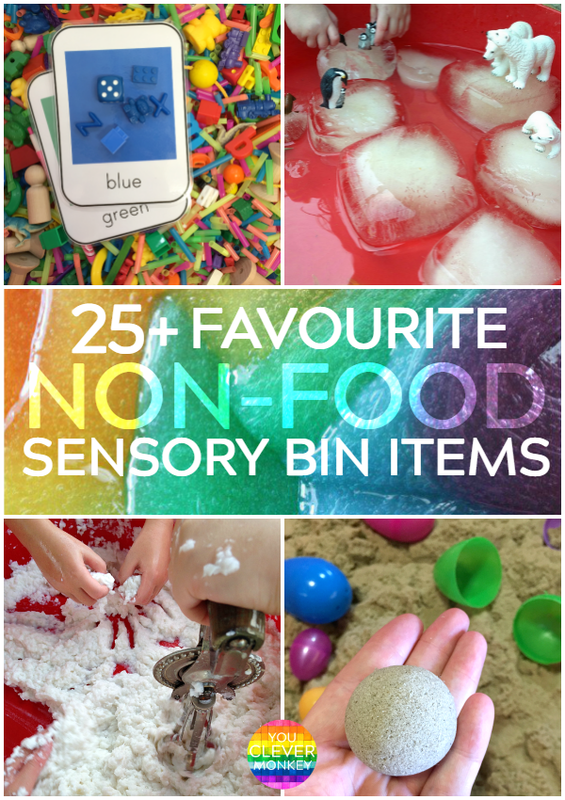 More than 50 of our favourite non-food items to add to your sensory bins to encourage rich hands-on play in Early Childhood. Many of you already know how much we love using sensory bins for play but sometimes it's just not practical to use food stuffs as a sensory bin base. It might be because you're in a classroom setting with too many germy hands or because it attracts pests but this doesn't mean your children have to miss out on rich sensory play, it just means looking for non-food alternatives. 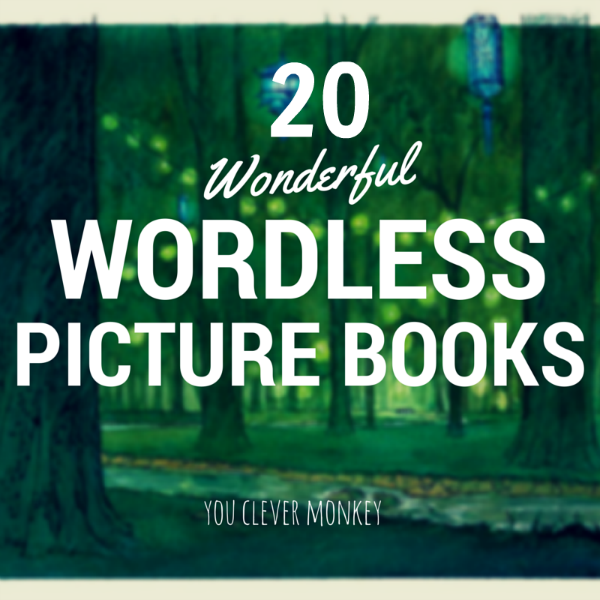 Here you will find more than 50 of our favourite materials for non-food sensory play that are simple to find and store along with a FREE printable poster to keep you inspired! This term part of my teaching role involves working with different classes as they learn how to use an iPad. Which left me thinking which apps would I recommend? I read somewhere that there are now well over 1 million different apps in the market with nearly half that native to iPads. So how do you pick a good app? 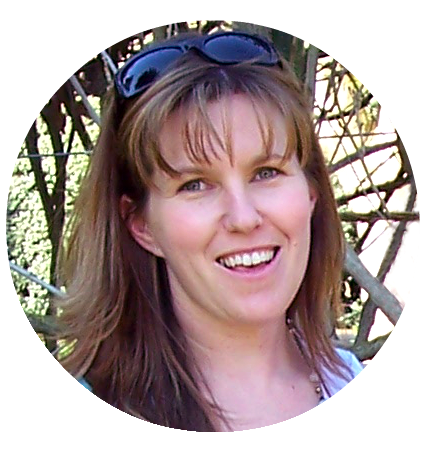 Many are labelled educational but are they really? They also need to be fun which is where my own three market testers come in. If it's an app that they keep returning too, I know it's one worth recommending. 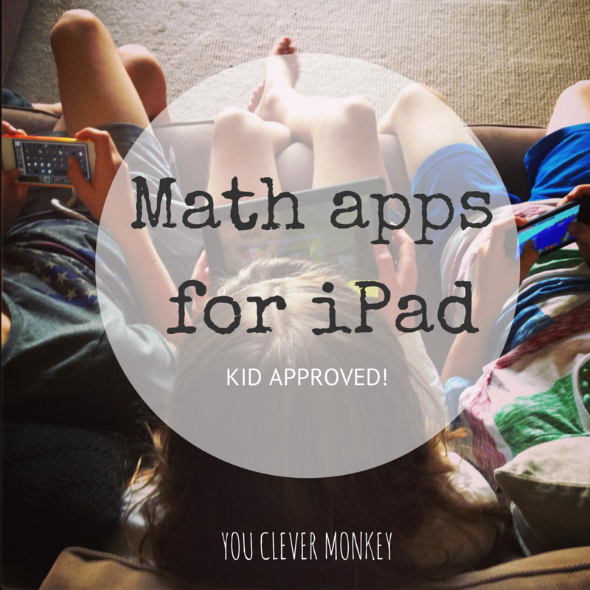 I thought I break the list down in to more manageable parts so today I'm just sharing some fun, kid-approved Maths apps suitable for iPads. 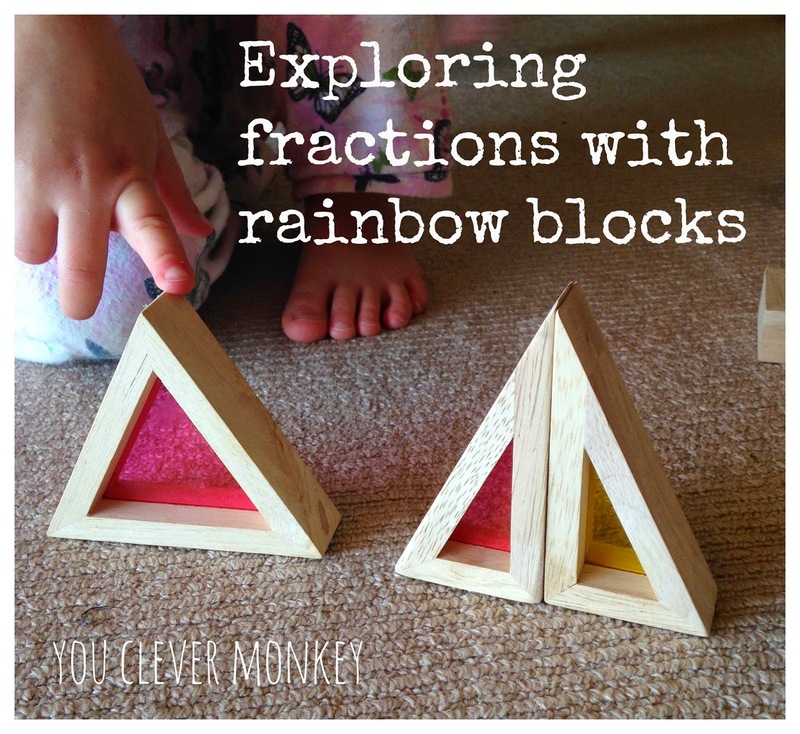 Recently I received these beautiful wooden rainbow blocks from Sweet Elephants. 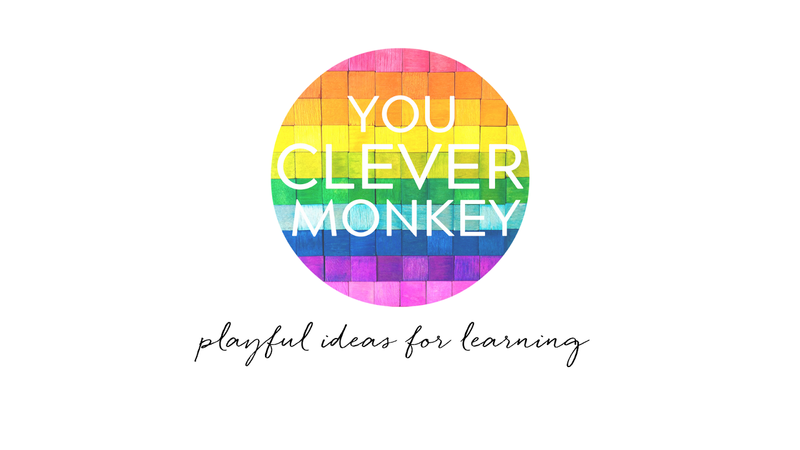 I'd seen some items they stock on Instagram - some lovely things I hadn't seen anywhere else online and I'm always happy to recommend a great Australian toy shop (they do ship overseas too!) so I was just a little excited when Krystal asked me to review their rainbow blocks as I thought they'd be perfect for exploring fractions.